Training optical neural networks; thermal material; water into hydrogen. 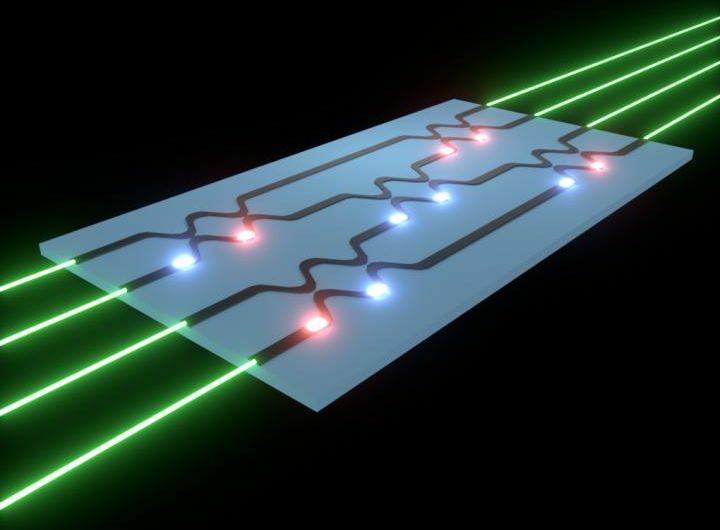 Researchers from Stanford University used an optical chip to train an artificial neural network, a step that could lead to faster, more efficient AI tasks. Although optical neural networks have been recently demonstrated, the training step was performed using a model on a traditional digital computer and the final settings were then imported into the optical circuit. In contrast, the new method trains networks directly in the device by implementing an optical analog of the ‘backpropagation’ algorithm, which is the standard way to train conventional neural networks. Engineers at UCLA developed a semiconductor material, boron arsenide free from defects, which they say is more effective at drawing and dissipating waste heat than any other known semiconductor or metal materials. Heat in electronics has become a major issue, as thermal issues increase along with gate density and lead to problems including unpredictable reliability, mechanical stress, increased leakage power, and premature aging. While there are a number of ways designers approach thermal issues, such as using temperature monitoring to reduce performance when necessary, the research team focused on drawing heat away from hotspots. The defect-free boron arsenide has a record-high thermal conductivity, 1300 W/mK, making it more than three times faster at conducting heat than the commonly used materials silicon carbide and copper. Researchers at Rutgers University–New Brunswick developed an improved way to split water into hydrogen for solar energy storage using star-shaped gold nanoparticles. The team says their use of visible and infrared light allowed gold nanoparticles to absorb it more quickly and then transfer some of the electrons generated as a result of the light absorption to nearby materials like titanium dioxide. The engineers coated gold nanoparticles with titanium dioxide and exposed the material to UV, visible, and infrared light and studied how electrons jump from gold to the material. The researchers found that the electrons, which trigger reactions, produced hydrogen from water over four times more efficiently than previous efforts demonstrated.